A university student is being held by police for attempting to commit suicide inside a bank where he is working as an intern. The 23-year-old University of Nairobi engineering student is said to have tried to take his life by setting his work station ablaze inside the banking hall on Monday morning. The student, who works as a teller, is reported to have poured petrol on furniture and documents inside his booth and set them on fire. Quick action by employees alerted by smoke detectors inside the bank stopped the fire from spreading. No one was injured in the incident. According to reports, police were alerted by the bank’s operational manager and arrested the student. He was found in possession of a bottle containing petrol. 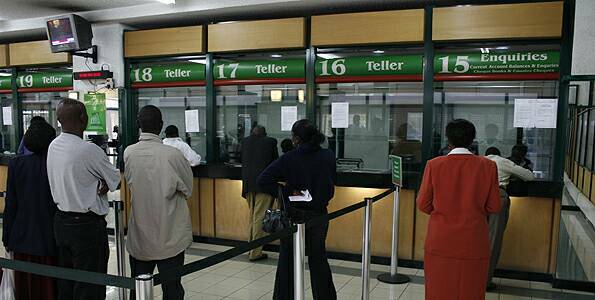 Preliminary findings revealed he was under investigation by the bank for suspected fraud involving Sh200,000 transferred from a customer’s account to his personal account on September 23, 2017. The bank also suspected him of fraudulently depositing more than Sh27 million with various M-Pesa operators in Bondo town on diverse dates. The transactions have since been reversed. When questioned by the police on why he had attempted to burn the bank, the suspect said he was facing challenges trying to meet his family’s needs and was also frustrated at work. The bank’s corporate affairs manager confirmed the incident but said it was an isolated one.